Catholics have played a major role in schooling in the area since 1886. St Mary's parish in West Melbourne was established in 1854. The ‘old' St Mary's church and school operated prior to the present church being built. St Mary's Star of the Sea Catholic Church was built in the 1890s during an economic depression and it stands as a tribute to the faith and generosity of its parishioners. It is the largest parish church in Melbourne apart from St Patrick's Cathedral. The tower at the front of the church was never completed due to a lack of funds, and there is currently an appeal underway to raise money to restore the ageing church and complete the missing tower. The new church opened in 1900 and the parish's two new schools, St Mary's Boys' School and St Mary's Primary School, were built in 1910 and 1914 respectively. These schools played a vital role in educating the children of West and North Melbourne throughout the last century. The primary school in Victoria Street was run by the Sisters of Mercy, an order of Catholic nuns who arrived in Australia from Ireland in 1846. The Sisters took charge of the original St Mary's school in 1887 as well as St Michael's Primary School in North Melbourne a year earlier. The Sisters of Mercy were founded in Dublin, Ireland, by Catherine McAuley in 1831. One of their main missions was to educate poor children. The Sisters taught girls and boys at St Mary's until the 1980s. The boys' school in Howard Street was run from 1902 to 1995 by the Christian Brothers, a religious order established in Waterford, Ireland, in 1802 by its founder, Edmund Rice. Edmund was a wealthy, religious man whose passion was the education of poor boys. He could see that education for the poor was necessary in order to raise people's prospects in life. The order spread quickly through the world and the Brothers first arrived in Melbourne in 1868, where they started the first Christian Brothers’ school in Australia in 1871 called Parade College in East Melbourne, later known as Cathedral College. The Christian Brothers also established St Joseph's College in North Melbourne in 1903, a senior secondary school for boys, while the teenage girls were taught by the Sisters of Mercy at St Aloysius' College in North Melbourne. 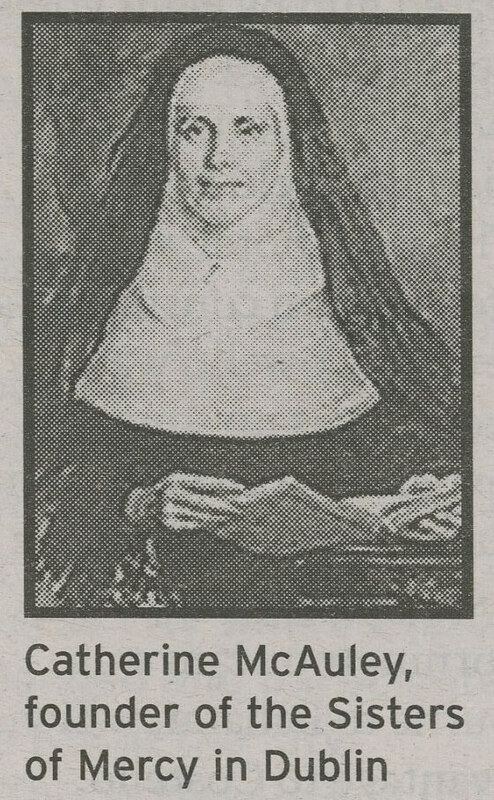 The Sisters of Mercy and the Christian Brothers provided a high standard of education to the working-class children of West and North Melbourne (at a very minimal cost), as well as instilling in them a set of values and ethics in a Catholic environment. St Mary's two schools closed in 1995 when Cathedral College (the original Parade College) in East Melbourne also closed and merged with St Mary's to become Simonds Catholic College in 1996 - a secondary school for boys which now occupies St Mary's former schools. Simonds has no Christian Brothers or Sisters of Mercy on its staff and is headed by a lay principal, a sign of the times we now live in, as is the abandonment of the clerical dress and veils and habits traditionally worn by the Brothers and Sisters. The communities of West and North Melbourne are indebted to the Sisters of Mercy and the Christian Brothers, two religious orders which educated and guided many thousands of children in a disciplined environment. Sir James Gobbo, a former Governor of Victoria and Supreme Court justice, was taught by the Brothers in North Melbourne. by Shaun McCarthy, June 2004.